Beef and Barley Soup Recipe - "Melt in your Mouth"
In December I went to visit my dad in Northern California for the weekend, I decided to make a batch of my favorite soup to take to him from my favorite soup cookbook, Sunday Soup, by Betty Rosbottom. This soup really does melt in your mouth as the beef is sautéed and then simmered with the veggies and barley. Everything we have tried in this cookbook is great. Tom’s favorite is the Blue Cheese Apple Soup. (photo below). Because I was flying, I froze the soup and took it in my checked bag. Previously, Southwest has let me take soup in my carry-on because it was frozen, but better safe than sorry, for this trip I checked the bag. Be sure to double bag it and mark it clearly as soup for the inspectors. 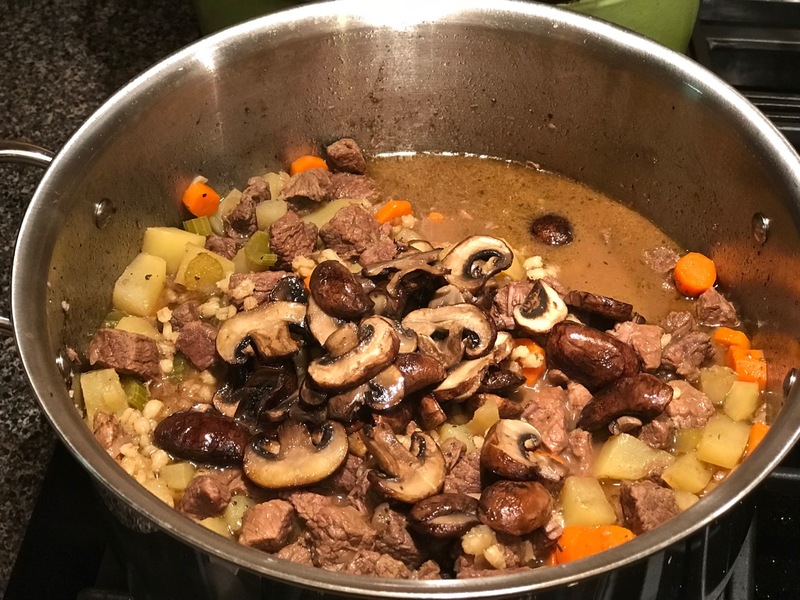 A couple of other tiny changes … I used Yukon gold potatoes rather than parsnips and cremini mushrooms in place of white as I think they add more flavor. Creminis (sometimes called baby bella), look similar to the white button mushrooms, but are brown and have an earthier taste. When buying the mushrooms, be sure the caps are tightly closed. It may be an old wives’ tale (hmm, is that me? 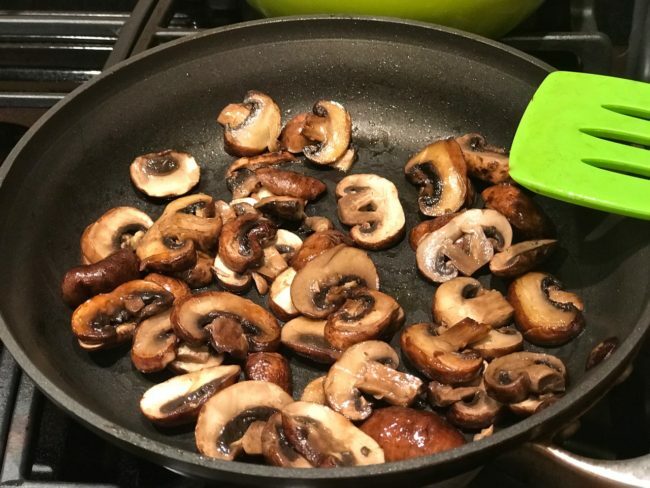 ), but I have heard that mushrooms lose their flavor as the caps open. I have made this soup with fennel and leeks, too, but it is perfect as is. 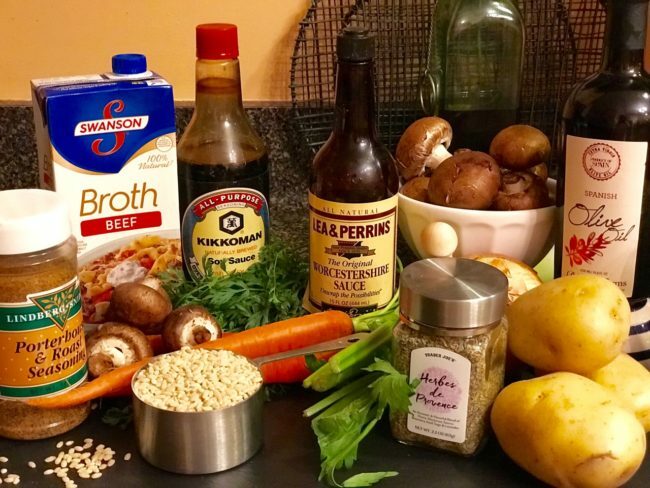 Yes, this recipe is more time consuming, but it is worth the time and, as with many soups, is even better the next day. Pat the meat dry with paper towels. 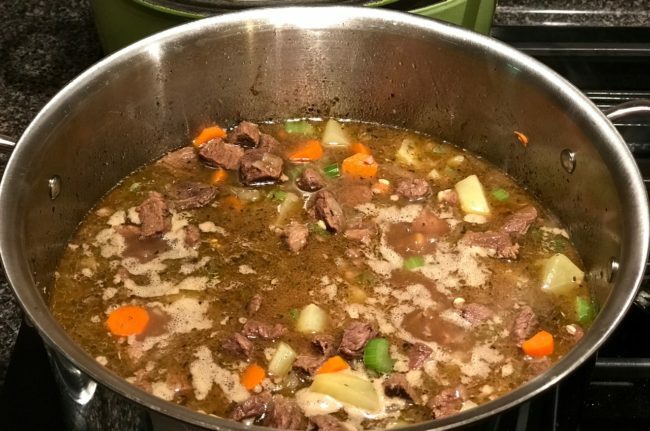 Depending on the size of your pot, divide the meat into batches and season each batch with 1 teaspoon of seasoning salt and a couple of grinds of black pepper. Pour enough olive oil into a large, deep-sided pot (with a lid) to coat the bottom (4-5 tablespoons). Heat over medium-high heat until the oil is hot, but not smoking. Add enough meat to fit comfortably in a single layer. Brown on all sides, often turning, about 4-5 minutes. Using a slotted spoon, remove the meat to a platter lined with paper towels to drain. Repeat with remaining meat, adding more olive oil as needed. Return the meat to the pot and add the beef broth, Worcestershire sauce, soy sauce, 1 t. Kosher salt and several grinds of pepper. Bring to a simmer over medium-high heat, reduce heat and cover. Simmer for 90 minutes. While the meat is cooking, heat 3 tablespoons oil in large, heavy skillet over medium-high heat. Sauté celery, carrots, onion and herbs de Provence until slightly softened. Set aside. Heat 2 tablespoons olive oil in a medium skillet over medium-high heat. Sauté mushrooms until lightly browned (4-6 minutes). Set aside. 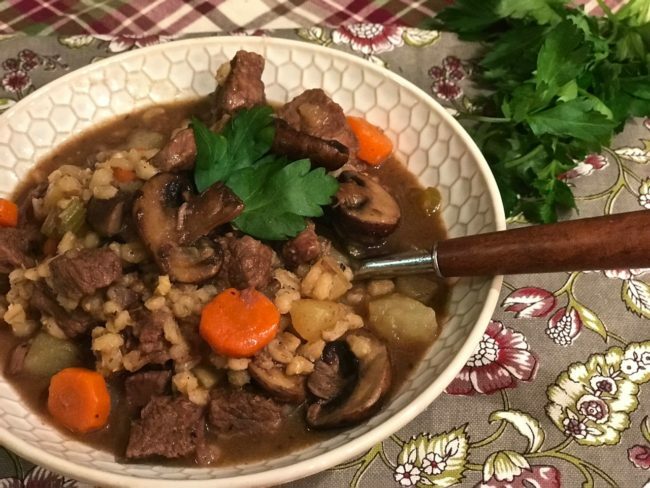 After the meat has simmered for 90 minutes, add the sautéed vegetables (but not the mushrooms), cubed potatoes and barley to the pot. 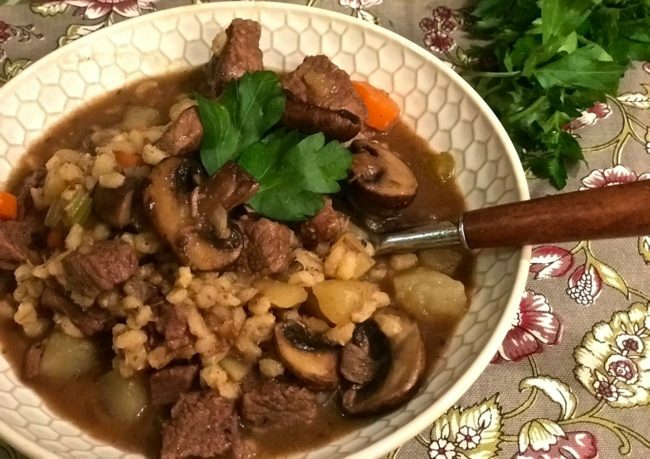 Bring to a simmer, cover and cook over low heat until the barley and meat are tender, about 45-60 minutes. Stir occasionally adding more water or broth if consistency becomes too thick. When done, add the sautéed mushrooms to the soup and simmer until heated through. Salt and pepper to taste. 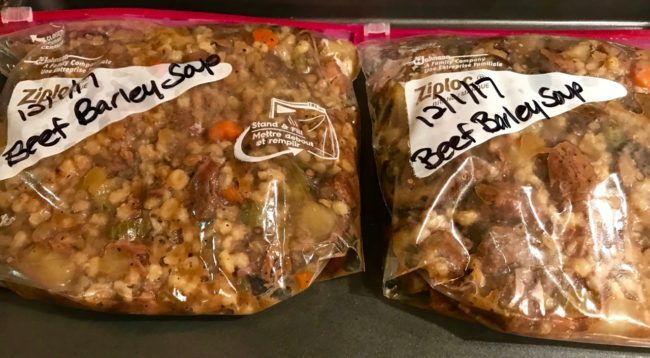 If not freezing or eating immediately, the soup can be prepared up to two days ahead. Cool, cover and refrigerate. Add water or broth to thin if it is too thick when reheated. Serves 8. 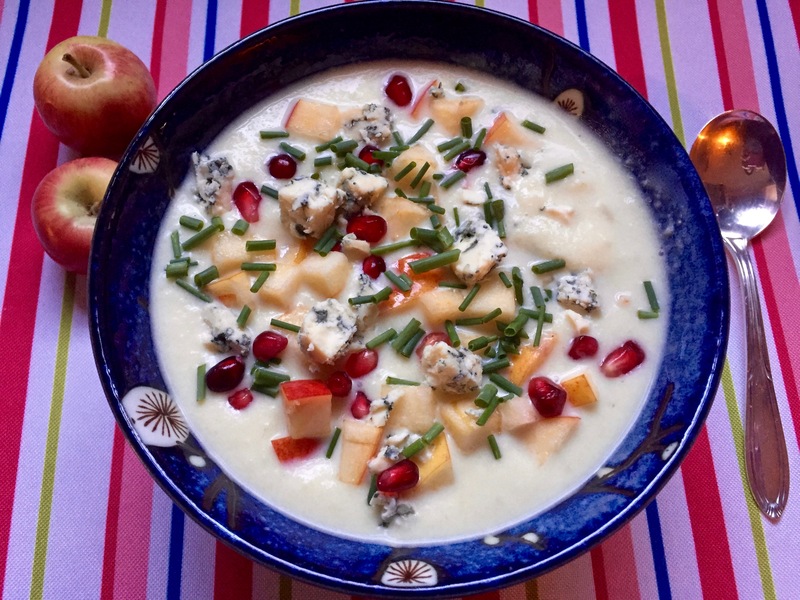 Adapted from Sunday Soup.